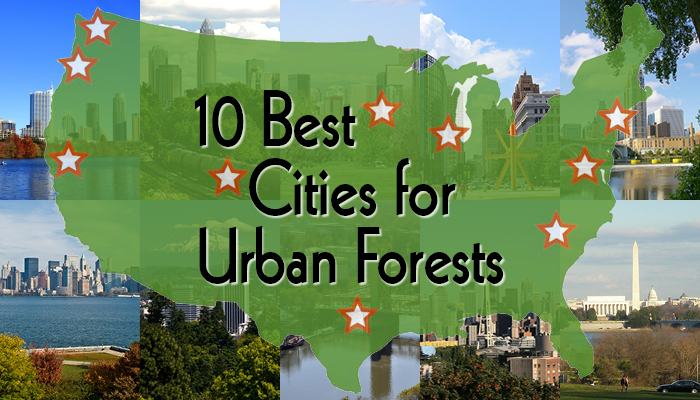 Several days ago, the organization American Forests named the 10 Best Cities for Urban Forests. It actually names only the best among the 50 most populous communities, but useful none the less. Charlotte, the only city large enough to be eligible, made the list giving those of us who live in other parts of North Carolina, a best practice laboratory. What is more interesting than the ranking of cities is the organization’s excellent history of urban forests. In the United States, this is another of the benefits we owe to immigrants. They planted trees around their urban homes to remind them of their homeland. It wasn’t until the Progressive Era of the late 1800s and early 1900s that Americans began to value urban trees, primarily for aesthetics reasons with a focus on native species. The far greater value of urban trees for ecosystem services such as climate and flood control, water and air quality and soil conservation wasn’t widely understood by scientists and economists until recently. However, the seeds for urban forestry in America were planted by Andrew Jackson Downing who became the “father of landscape architecture before dying in 1852 at only age 36 in a tragic fire aboard a ship steaming up the Hudson River. Today’s officials primarily give lip service to urban forestry, while far too many urban foresters fail to “see the forest for the trees” while focusing only on the tiny portion existing on public property. It has been more than a decade since American Forests released a study about the importance of reversing the national urban tree deficit, documented then as 634.4 million trees lost to development and other factors. A study released last year acknowledged that the nation’s urban forests are still declining by four million trees a year. Durham, North Carolina where I live has surrendered more than a million trees to impervious surface in the last 30 years. Net those that naturally regenerate, a zero loss strategy including much better and well-enforced tree ordinances would require planting 243 trees a day. Pathetically, Durham officials probably don’t even realize that they currently budget enough to plant only a little more than that amount in an entire year, barely enough to replace what is lost each day to development, a pattern found in far too many other North Carolina communities. Long forgotten are the lessons learned a hundred years ago about the crucial importance of green infrastructure such as urban forests.